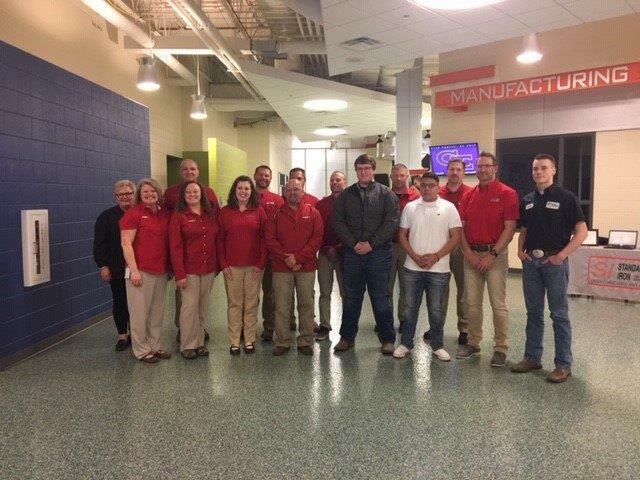 CNH Industrial employees at Case IH’s Grand Island Facility welcome new apprentices during a “signing day” event on April 2 to celebrate its support of the certified Youth Apprentice Program with the Department of Labor and Career Pathways High School in the city of Grand Island. CNH Industrial’s Case IH Grand Island Facility hosted a “signing day” event on April 2 to celebrate its support of the certified Youth Apprentice Program with the Department of Labor and Career Pathways High School in the city of Grand Island. Together with company representatives, the event was attended by Debra Cremeens-Risinger, U.S. Department of Labor Nebraska State Director, who signed the program registration, along with Lieutenant Governor of Nebraska Mike Foley and Dan Phillips, Director of Career Pathways. The Youth Apprentice Program, through the Department of Labor, is designed to connect business and schools together, to provide skills-based learning in tandem with classroom studies. The signing day signifies that, together with CNH Industrial, the Department of Labor, Career Pathways High School, students and parents are fully commitment to the program.